Amid today's glut of app updates for iOS 10, Niantic Labs updated popular augmented reality game Pokémon Go, adding some promised new features that should make the Pokémon-catching experience better. 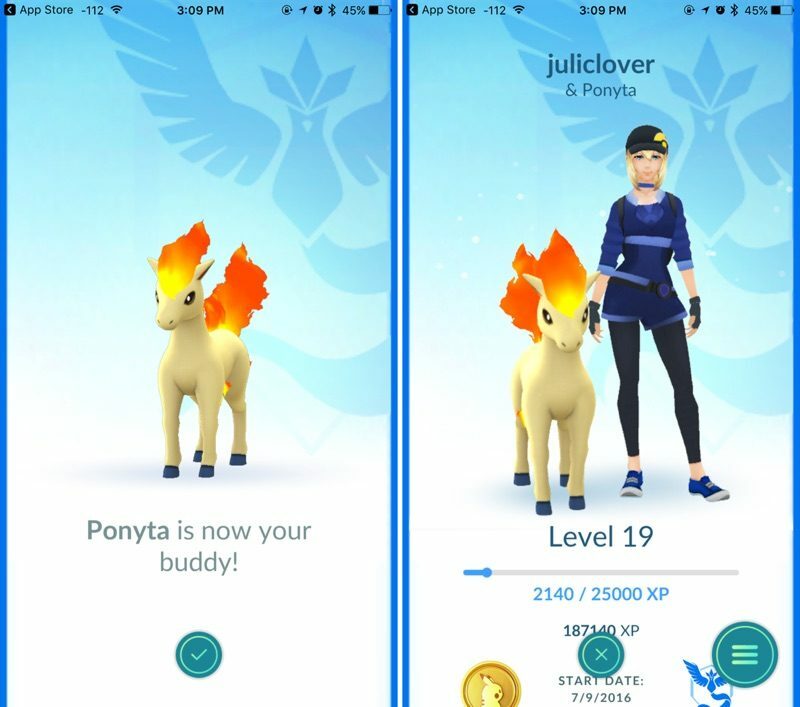 New in Pokémon Go is a Buddy feature that lets users choose a favorite Pokémon as a buddy. The Pokémon acting as a buddy will earn candy after a certain distance is traveled, making it much easier to get candies for upgrading rare Pokémon. Today's update also fixes a few minor bugs and adds support for the Pokémon Go Plus accessory. Pokémon Go Plus is a wrist-worn device that's designed to let users discover Pokémon without the need to have the smartphone app open. It will be available starting next week. In the future, Pokémon Go will be coming to the Apple Watch, as was announced at Apple's September 7 event. The Apple Watch app, like the Pokémon Go Plus accessory, will alert users when wild Pokémon appear, it will show information about hatching eggs, and send alerts when a Pokéstop is nearby. Pokéstops can even be accessed directly on the wrist without the need to open the Pokémon Go iPhone app. I was under the impression we would see the Pokémon walking with us on the map. I'm going to put my perfect iv kabuto on there to see if I can collect enough candies to make it evolve. I look forward to posts from people who care a LOT about things they say they don't care about. this game should be used in business schools as a case study on what not to do when you have a viral hit on your hands. 1. be stagnant with feature updates, essentially deserting the more committed fans who got to the higher levels. What's the point of grinding to reach level 20, honestly. They didn't build a reward system and they realistically had plenty of time to do that - the time it took for people to start reaching level 20. 3. shut down features that were popular - pokevision, though technically 'cheating' made the game more fun for casual users. if pokevision was still active i'd consider still checking it from time to time in case a lapras shows up a few blocks away. now? I don't want to walk aimlessly for 10 minutes let alone 30 minutes in the hopes something other than a stupid zubat pops up. the game was fun until level 15. From then on, you won't see anything new. A useful update. My child has already buddied her Pokemon Go avatar. For those that have a Pikachu, there is a trick that will put him on your shoulder, not just standing next to you (didn't hear the details on how to do it, although I'm sure Google will fill them in). On a mobile phone? That's comically stupid. I exclusively use the desktop version on my mobile phone and have none of the issues you seem to. Well, they're still raking in six times more IAP money ('http://toucharcade.com/2016/09/13/pokemon-go-lost-79-of-its-paying-players-but-remains-huge/') than the next highest earning game. They got a number of things wrong, mostly related to being unprepared for the magnitude of their popularity (it's not like they removed features out of spite, that happened because things were broken and/or overloading the servers). Thanks. I'm going to try my luck one weekend at the shopping and rec area near my husband's office. His coworkers reported some good Pokemon there. I would have thought Pokemon would be more widely distributed but that's definitely not been my experience. :( I love to walk but I live out in the rural outskirts of the cities. It's beautiful here but there aren't many Pokemon. 2) if no stops are nearby your best bet is to throw incense, its been told that in those areas where there is nothing it brings some nice pokemon to you try to catch.